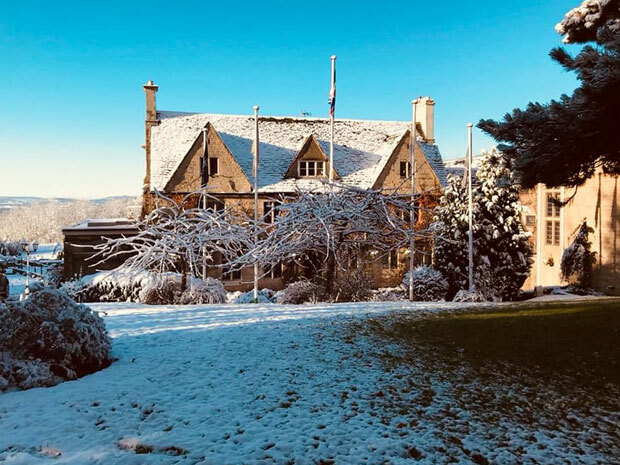 From top restaurants and luxurious hotels to historic buildings, find the perfect venue for your Christmas party in Gloucestershire, with SoGlos's 2019 guide to festive celebrations. Gloucestershire plays host to a sparkling array of Christmas party venues, so whether you are looking for the perfect setting for your office party, festive celebrations with friends, or somewhere for a family get together to treasure, you’re sure to find it in the hugely popular annual SoGlos Christmas party guide 2019. From Champagne toasts, traditional roast turkey with all the trimmings, and crackers, to mince pies, magical live entertainment and energetic dancefloor moves, plan your perfect Christmas party, with the following sensational Gloucestershire party venues all coming highly recommended for hosting the finest festive merriment in the county. Plus, don’t miss the Christmas Day suggestions, if you’re looking for the perfect place to eat, drink and be merry on Tuesday 25 December 2019. Roll up, roll up, for The Greatest Christmas at Hatton Court Hotel in Gloucester. Gather your friends and colleagues for a circus themed celebration this winter. Choose from Party Nights where guests gather in Hatton Court’s heated garden marquee to enjoy a delicious three-course festive dinner, an all-inclusive drinks package and a DJ. For those looking for a daytime gathering, the circus celebrations continue with Hatton Court’s Festive Lunches, comprising of a two or three-course festive menu served in the Tara Restaurant. There are also Festive Afternoon Teas available, which are designed for two people to share. For a real family feast, enjoy a Festive Sunday Lunch where children under four can eat for free. Celebrate Christmas in style with a four-course Christmas Day Lunch in Hatton Court Hotel’s Tara Restaurant. This truly enchanting venue will be decorated for the season, offering a stunning location to enjoy delicious festive dishes with your nearest and dearest. Enjoy ‘A Million Dreams’ by booking one of the stylish and comfortable rooms at Hatton Court Hotel for just £75. This special discounted room rate is available to all guests enjoying a party at the hotel, but must be booked in advance. Hatton Court Hotel’s Party Nights take place on Saturdays 7, 14 and 21 December 2019; Friday 6 and 13 December 2019 and Sunday 22 December 2019 from 7.30pm until midnight; Festive Lunches are served Monday to Saturday throughout December, while Festive Sunday Lunch is available on Sundays from Sunday 1 to 22 December 2019. Festive Afternoon Tea is available throughout the month. Party Nights cost between £60 and £70 per person; Festive Lunches start at £20 per person for two courses and £25 per person for three courses. Festive Afternoon Tea costs £35 per couple, while Christmas Day Lunch is priced at £89 per adult and £24 for children aged five to 12. Under fours eat for free. Call (01452) 617412, email conference@hatton-court.co.uk or visit hatton-court.co.uk directly. 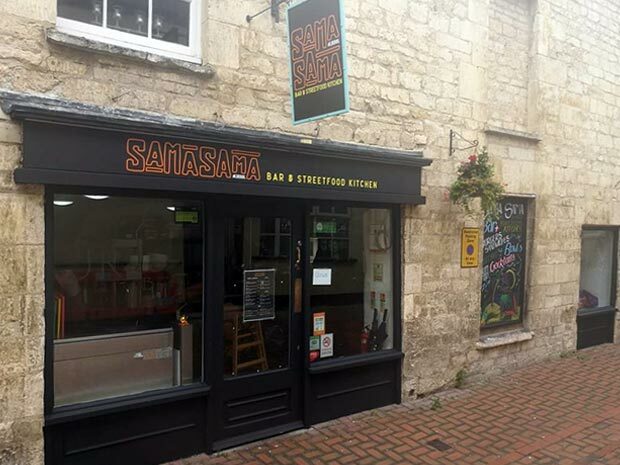 Located in Stroud’s Union Street, Sama Sama specialises in street food from South America, the Caribbean and Asia. The venue opened its doors in June 2018 with a menu boasting a range of burgers and sandwiches, with fillings such as Teriyaki tuna with wasabi mayo, pickles, fresh cucumber and sriracha; the Mexican fish burger with salsa, guacamole and jalapeño and lime tartare sauce; or the Jurkey Burger, a turkey pattie with garlic jerk mayo, avocado, pineapple and rocket. The venue also has a tasty selection of bowls served with rice or fries, with flavor options including chicken, prawn or vegan. Sama Sama has a trendy and exclusive cocktail menu to accompany your food with a frozen espresso martini, known as a Frapputini; frozen Lilt margarita; and a tropical daiquiri, to name just a few. This stylish street food venue in Stroud plays its music loud and serves its food spicy. Making for a brilliant party atmosphere, a night at Sama Sama combines great flavours with a casual dining experience, to provide a night to remember. Sama Sama offers its fabulous menu throughout the year, offering casual dining for intimate dinners or delicious group dining. A Christmas trip to Sama Sama makes for a perfect alternative traditional Christmas party venues. Sama Sama’s varied menu is reasonably priced, with special offers running throughout the year. Make sure you check out Taco Tuesday, where guests can enjoy three tacos and a Corona beer for £10. Call (01453) 767123, email samasamastroud@gmail.com or visit facebook.com/samasamastroud directly.